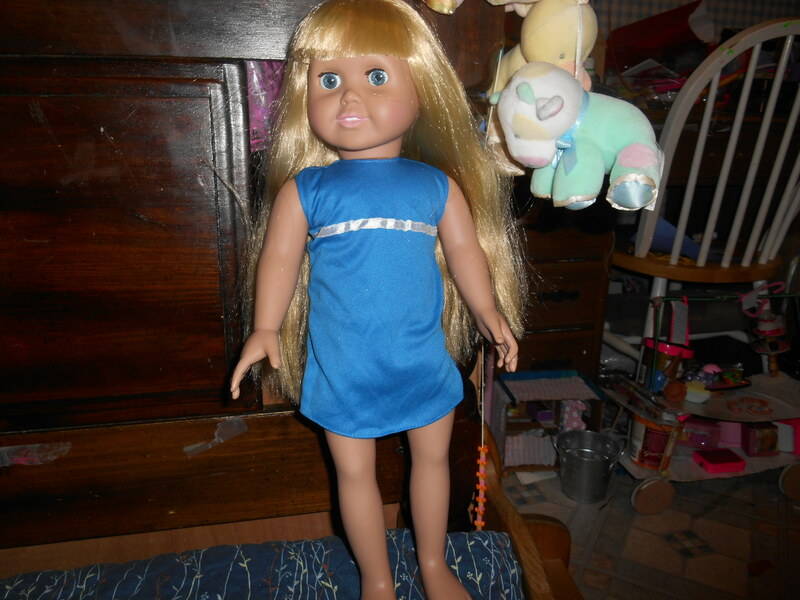 I got three dolls for Christmas and I am going to show you them all. Let’s start with Abby. All she comes in is a blue dress. No shoes or underwear. She doesn’t look very good in this but great in other outfits. 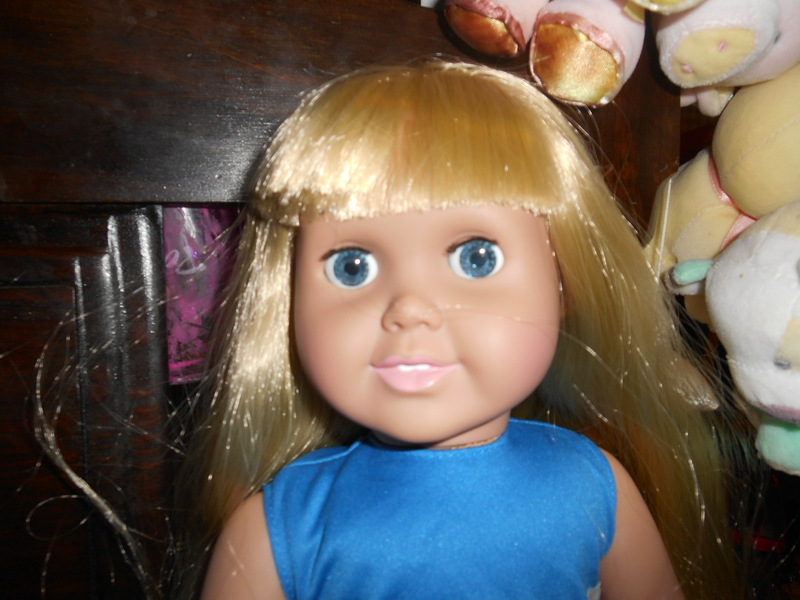 She has bright blue eyes, bangs, and long blond hair. Over all she is a nice doll but doesn’t come with much.